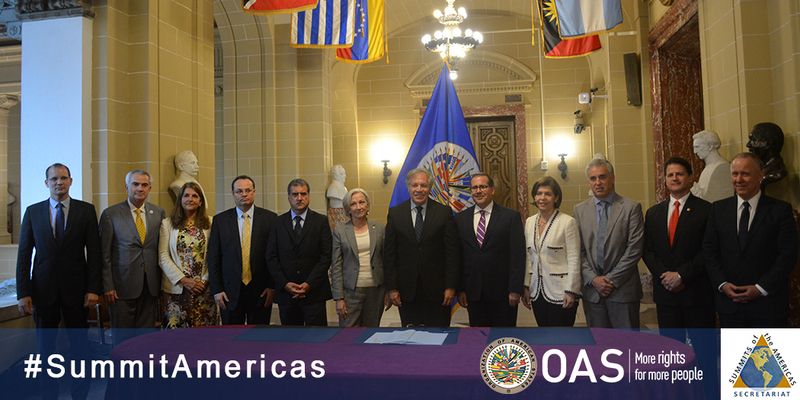 Five months after the VIII Summit of the Americas, the Secretary General of the Organization of American States (OAS), Luis Almagro, invited the institutions of the Joint Summit Working Group (JSWG) to revitalize the commitment to the Summits of the Americas Process, signing a Memorandum of Understanding on September 4, which seeks to enhance the work of the countries of the region in the implementation of the mandates agreed upon in the Summits of the Americas Process. The signing of this Memorandum of Understanding, hopes to establish, through the Joint Summit Working Group, a framework for collaboration, to facilitate mechanisms of cooperation between the Parties, and to strengthen joint efforts in support of the implementation and follow-up of the mandates of Summits of the Americas. 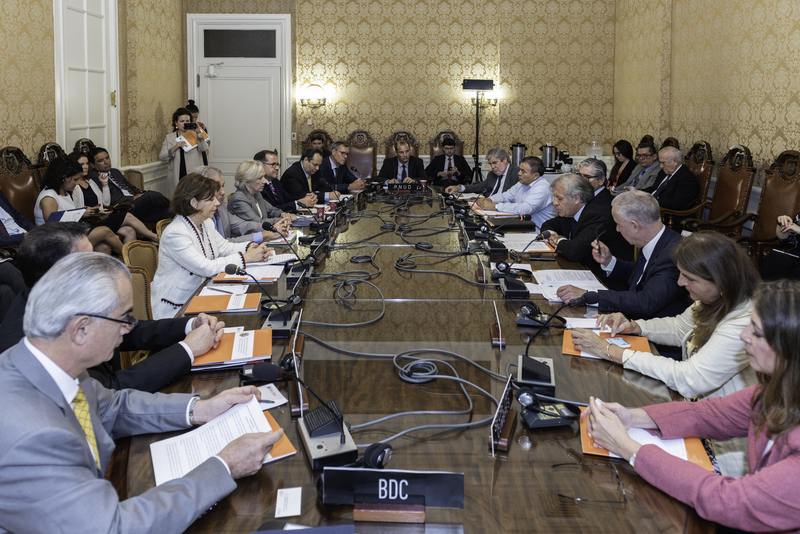 In addition, the signing of the MoU promotes a road map to strengthen the democratic agenda and the fight against corruption, in line with the Lima Commitment "Democratic Governance against Corruption", approved by consensus at the VIII Summit of the Americas, held in Lima, Peru in April 2018. After the signing ceremony, the Secretary General of the OAS stated: “The signing of this MoU seals the commitment of our institutions to continue working together and accompanying the efforts of the countries of the region to focus their attention on issues that are crucial for their citizens - to promote democracy and democratic governance, defend human rights, promote integral development and prosperity, and guarantee the security and peace of the peoples of the Americas." The Summits Secretariat, as the Technical Secretariat and the institutional memory of the Summits Process, will continue working hand in hand with the entities of the JSWG.